Work wear style for the next working week. 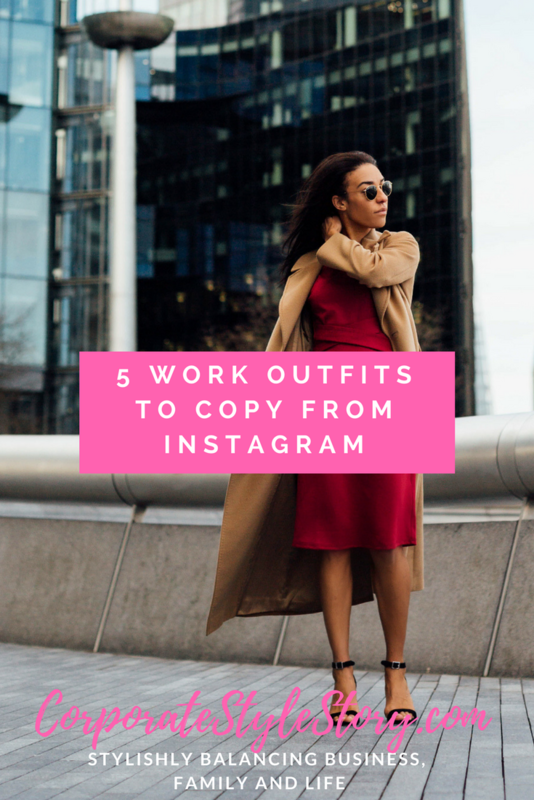 Here is another ‘5 Work Outfits to Copy from Instagram This Week’ post. 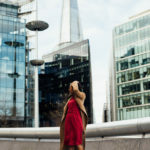 With London Fashion Week just behind us, I’m starting to see the beginning of new trends coming through for Spring and colour is definitely peeking through! The days are getting longer and the sky is becoming sooo blue or bright (higher temperatures, please hurry). 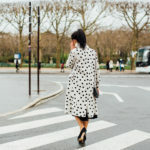 My fellow work wear style bloggers and I are starting to post the new seasons collections and refreshing our work wardrobes. I love seeing what new work wear styles there are out there. Spring is definitely nearly here! I really like Kim’s classic modern style. This deep berry colour worn by Kim in the trousers is really popular at the moment (see another look below) and it’s definitely a favourite one of mine to incorporate into my work wear style. I love Dorothy’s feminine work wear style. I think she is one of the best people to follow on Instagram if you’re like wearing dresses and skirts, she has an eye for the most flattering pieces that are on trend yet appropriate for work.I love this skirt and top combo, it’s a perfect transitional outfit and super on trend – selling out fast though! Also known as little old me! The guys at Hot Squash sent me this dress* and I must say that I love the fit and the criss cross detailing on the front – it really is flattering. Plus people said that this colour looks really good on me and I’m inclined to agree, I have a jumper in the same berry tone, (check out this Instagram post if you want to have a look) and I also wear the relatively new Bobbi Brown Crushed Lip Colour in Grenadine which is a very similar berry colour and isn’t matte. I love this outfit from Little Miss Corporate, that lovely berry colour again! Depending on where you are in the world will dictate what you can get away with top wise (I’m thinking a berry long sleeve roll neck bodysuit in the UK at the moment, so cold!) but I love these colours together. The textured coat over the shoulders is such a stylish accompaniment. Lisa’s style is so effortless and she always has the best accessories, this is a perfect smart look for Friday’s if you’re in a formal environment although I think it’s a great look any day of the week. Loving this coat too, the colour is perfect for Spring!